Kombucha, booch and SCOBY are new words in my vocab after a visit to photograph the GoodBuzz soft drink factory in Wainuiomata. The GoodBuzz process combines sugar, tea and water (from the Te Puna Wai Ora artesian aquifer in Petone) with the SCOBY (symbiotic culture of bacteria and yeast) and turns into an effervescent, healthy, non-alcoholic drink. 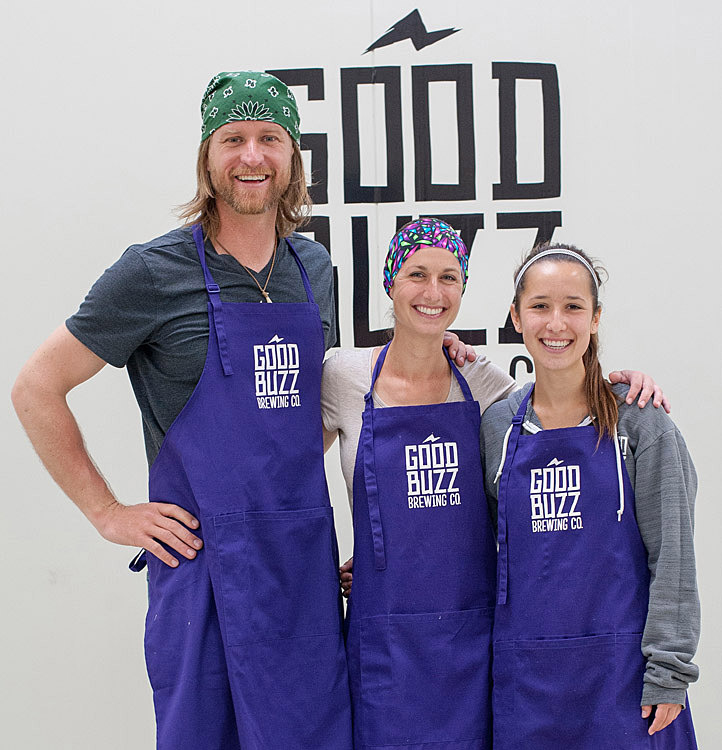 In the short time GoodBuzz has been operating they already have five kombucha brews in more than 60 cafes in Wellington, Christchurch, Hawkes Bay, New Plymouth and Nelson, and recently have been included in Auckland’s Nosh outlets. The drinks come in five flavours - Origins, Green Jasmin, Lemon and Ginger, Jade Dew and Feijoia. A new brew made with coffee cherry (the outer red skin of discarded coffee beans from Go Bang in Petone) with an amazing light apple flavour is coming soon. Each brew takes 8-10 days to ferment and another 7-10 days of bottle conditioning before heading out the door. The best before date is four months unchilled (a bonus when there is space restrictions in the fridge), and can be extended to nine months if refrigerated. Another buzz emanating from the factory came from discovering owner Alex Campbell and I grew up in the same small Northland town – Kaikohe. This is where Alex’s first memories of kombucha came from – his grandmother Amy made what she called Manchurian Mushroom tea in the 1970’s. Kaikohe Kombucha - who would have thought?